Gorgeous late summer day...slightly cool, but warming up as the day goes on. A day for a light sweater. First, the Michael news...a bit mixed. The tear in the eye hasn't healed and the doc doesn't know if it will. He says the danger is infection. Indeed, Michael might have had that tear for a while, but the problem came when he developed conjunctivitis. In a normal eye it's an irritation, and not very attractive, but not serious. But if the eye has a wound, the infection gets inside. So now Michael will have to, probably for the rest of his life, be very careful to guard against infections...so no more swimming underwater, lots and lots of handwashing (probably a good idea anyway!) and he's not allowed into anymore peep shows. Ha! Not really the news we were hoping for, but it's not the worst. We're going back Thursday morning so the doc can take another look. Worst case scenario he losed the sight in that eye, but still has another one. Again, wouldn't be our first choice, but it seems we might not actually have a choice. And God knows, people get worse news everyday - they'd trade with us in an instant. It's been a busy day!!! Went for breakfast to Nicks - a real local joint. Sat in a booth. I had porridge and Michael had bacon and eggs. Then I hopped a cab to CBC for my interview on the Quick Reads novella I'm writing for litercy. Saw our friend Susan there...she's coming down to spend the long labour day weekend in the cottage. Then home...hopiong Michael had sorted Hydro Quebec, but after spending loads of time on hold he finaly got through only to be told his wife (the Litte Woman) was the one who needed to call, since the account was in my name. This heartened Michael since it also meant the bad credit rating would also be mine! Fortunately for both of us I have long been a financial liability so this won't change our relationship. So, it was my turn to call Hydro...happily they picked up almost at once and after listening to my sad, sad tale about not getting the bills - and choosing not to comment on said sad tale - they explained told me how much we owed, we had to pay it at the bank, then call back with the confirmation number. Off we went again to the bank and another wait. Paid the bills, phoned back Hydro (i now know the number better than my own, as well as all the recorded messages about weather -proofing for winter). We got it all sorted out - and once again (since this was a fresh audience) I tried out the "I never got the bills" routine. But this time to better effect. The person actually looked it up and asked... What is this Main Street address? It's an office I rented until last year, then gave up the least. Why? Well, we've been sending your bills there. I figured it was useless to get upset at this poor person who clearly wasn't at fault, but why Hydro would out of the blue decide to change the address of where they billed us to an address we'd recently vacated is another of life's great mysteries. Hydro Quebec is one of the wonders of the world. People stare at it slack-jawed. In awe. How is such a thing possible??? But now power will be restored in the next day... we hope. But this is the mighty Hydro Quebec, after all, so we might be in for even more wonderment. Then had a bookclub to speak to this afternoon...and now home quietly. having dinner tonight with Hope and Charlie - and really looking forward to it. Cab comes at 6:30am for the airport and NYC. What a life! And I know, with care, Michael's eye will be just fine. We simply need to keep it away from the good burghers at Hydro! A few degrees below seasonable. But not bad...sweater weather. Michael and I are back in Montreal - busy day tomorrow. Right now we're lying on the bed and watching the golf...very exciting. I'm rooting for Ernie Els. Started to write the novella today. Did 500 words. Quite a challenge. This is meant for adults who read at about a grade 4 level - but who, of course, think in complex terms. So while the story and themes need to be full and rich and layered, the words must be quite simple. So far I'm struggling a bit to get a handle on it...but I'm satisfied with the first 500 words. Off to CBC Radio for an interview on this novella project. It's sponsored by ABC Canada - which is a national literacy organization. The books will not only, we hope, appeal to emerging readers but also help raise money for literacy. The books are called Quick Reads, and the campaign was VERY successful in the UK. After that I have a 1pm book club and Michael has his doctor's appointment to - we hope and presume - get good news about his eye. Then off for dinner at a restaurant in Outremont, which is a 'quartier' of Montreal...like Greewich Village is to NYC. The restaurant is called Lemeac is a very French bistro. Outremont is where, in the books, Armand and Reine-Marie live. It's very Quebecois, filled with intellectuals and artists, professors etc. A really lovely, interesting place with great restuarants and boutiques. And bookstores. We're having dinner with my New York editor, Hope Dellon and her husband. Hope and Charlie are then going on to Hovey Manor for a couple of nights then Quebec City. I envy them this trip!!! I'm off to New York for two days, leaving Tuesday. Will leave Michael to have quiet time to himself, to write and just lounge. We also need - tomorrow - to get the power back on in the guest cottage! It's a good thing that after 20 years at CBC and 5 years in publishing I have almost no shame left. Will report back when I can - in the meantime, hope you're thriving. Wow, what a change. I wonder if this is a bit of that Hurricane striking us. Can't imagine it is, we're quite far away. Had to get up in the night and close windows, it was so windy and cold. Michael's just downstairs lighting the fire. Great day to make a cafe au lait and snuggle in. His eye is still a little puffy but I keep thinking it's better...hard to say how much of that is real or wishful thinking. But it makes me feel better until we get to the doctor Monday. I'm blogging today over at a great site called The Lipstick Chronicles... the amazing Elaine Viets invited me...but the site has six writers, all taking turns blogging. Intelligent, irreverent, thoughtful...very funny. You'll love The Lipstick Chronicles. Did four loads of laundry...two our own clothes, and two sheets and towels from the guest cottage. Had a call last night from the alarm people to say the alarm there hasn't been working in 24 hours. We rushed over with our flashlights only to discover the power was totally off! The electrician arrived first thing this morning - thanks to the fabulous Gary, who gets called everytime something goes wrong (the dog vomits, a cap is stuck, the house is on fire...) - and discovered the problem. We hadn't paid the bill!!! We were shocked. We pay every bill as soon as it comes in, and keep extremely good records. So we whizzed back home to look up and sure enough, we hadn't paid a hydro bill since the beginning of the year. More over, we hadn't received a bill. For the cottage or the main house...and we sure didn't get the warnings. Of course, we should have realized no hydro bills were coming, but frankly we just pay the bills that come in, file them, and move on. And our lives are fairly scattered and hectic. But now it's the weekend and we can't raise anyone at Hydro to try to figure out what's gone wrong. I suspect when they hear our excuse, 'We didn't get any bills or warnings' there'll be a whole lot of rolling of eyes! I sure would if i was them - they must hear that ALL the time. Still, in this case it happens to be true. What a time! Between Michael's eye and Hydro is feels like life has just taken a sharp turn into a swamp. But - it sure could be worse. For some odd reason they didn't turn the power off to the main house, so we have everything we need. And this can all be sorted out. I'm sure Hydro wants to get their money and get to the bottom of it fast too! It will all work out. I love the physicians motto - do no harm. I keep reminding myself, when things feel like they're falling apart, just don't make it worse. Deep breath, be calm and considerate, and a solution will be found. If not, I can always go ballistic later. Nice to have a plan B! Came in to Montreal yesterday - quite a stressful drive. We were worried about Michael's conjunctivitis (pink eye) - especially since he has glaucoma and his eyes are quite fragile. So we called first thing in the morning and his eye doctor agreed to see him - but said he had to leave at 11:30 for hospital rounds. We hopped in the car and raced into town...at least, our hearts were racing, the car, not so much. We ran into traffic, of course - and construction. It felt like a cheap thriller...watching the minutes tick down..no pyro-technics, no car chases, no mad-dash...indeed, nothing happening at all. Just sitting in traffic...worrying. Michael called every 15 minutes with an update. Finally got to the Champlain Bridge with 10 minutes to go...we might just make it! And boom - construction. Bumper-to-bumper traffic over the bridge. aieehhh. We got over and through it. three minutes to go. along rue Notre Dame, up Guy - a truck had become stuck under an over-pass! Honestly! Some days. We finally got to the medical buidling, I let Michael off...we were just past 11:30. He ran to the elevators (which, thank God, were actually working) while I looked for parking. The wonderful receptionist at Dr. Cohen's office had made sure the Doctor was still there! Thank God, because it wasn't conjunctivitis but his eye was actually leaking! We'd never heard of it before...but it seems there was a tear in it. Could he have been running with sissors again? Doc C. said if he'd left it many more hours he'd have lost the eye. Phew!!! So now he's on a bunch of drops - one of which constricts and closes the tear. But it has all worked out. Going in again Monday at 1pm for a check-up. How fortunate we are in our system that allows such easy and fast access to specialists. We pay for it, of course, with our taxes...but days like yesterday (and others) make it clear every penny is worth it. I'm sure there are wastes, and loads of problems...we've all experienced those too - but not system run by people will be perfect, or even close. But Michael and I are deeply grateful it worked for us so well. Had sushi again for dinner last night. Oh, wanted to mention the night before, back in Sutton, I watched a very old movie (1937) and loved it...quite dated, of course...fairly mannered and stilted and not the most glorious writing - but it sure was fun. It was Topper...with Cary Grant and Roland Young. The original black and white version, not the controversial colorized one. We also have Topper Returns (original too) to watch. I'd rented Witches of Eastwick from our local Montreal video store...we sat on the bed with our sushi and watched. To be honest, I didn't enjoy it. I remember loving it when it first came out, but this time I found Jack Nicholson's character utterly appalling. In fact, so disgusting it was hard to watch. Hard to believe three smart, strong women characters played by Cher, Michelle Pfieffer and Susan Sarandon could be attracted to him at all - even if charmed. We're just waiting for a piece of furniture to arrive then it's back to Sutton for the weekend. Having breakfast tomorrow morning with Joan. I'll let you know about Michael's eye...thankfully he's used to putting drops in and very disciplined about it. Between us we'll remember the timetable. His eye already looks a lot less puffy. Hope you're well. And a huge hug and kiss to Carol and David in London!!! Unexpectedly gorgeous day...supposed to teem rain, and didn't. Michael and I went off to Cowansville for breakfast, dropping the Volvo off first at Denis' garage to look at the warning light. Seems it's something to do with the speed indicator. Not serious, I gather. He turned off the light, but if it comes on again I'll go into Montreal to the dealership. Did some chores around Cowansville, then back home to be interviewed at noon by Stephen Clare, who has a radio show in Nova Scotia and writes for the Sunday Halifax Chronicle Herald...great paper. had a great time - yakked away for almost an hour and forgot I was being interviewed. The sign of a great interviewer, though always slightly dangerous - but it wasn't live. Indeed, I understand it'll be published and go to air just before THE BRUTAL TELLING comes out in Canada Sept 28th. Off to Montreal tomorrow...piece of funiture arriving in the new apartment - and Michael seems to have developed a case of pink-eye. He looks adorable...somewhere between a bunny and a very sentimental, teary, man. Barbeque on - having confit du canard and corn on the cob. We're up to "c" in our cookbook. Will try to blog tomorrow from Montreal. Be well. maybe it's a moose? A wombat? A trout? the Mounts left the guest cottage - so sad to see them go! Wrote the September newsletter this morning as well as a guest blog spot for the wonderful Elaine Viets over at The Lipstick Chronicles. She's such a terrific person - and fabulous writer. Then Michael and I hopped in the car and headed into the village for lunch (chicken wraps) and off to the local construction company to choose a new siding for the cottage. Thank God we thought to call Kirk, who was cutting his lawn on his tractor - to ask which colour he'd recommend...and thank God we ran into Gary in the shop too...he told us which siding to select and how much we needed, since he'll be doing the job. God knows what a balls-up we could have made of it on our own. Before they left the Mounts found some animal with a den close to the home, and photographed it. But none of us can figure out what it might be. They thought maybe a Marten, but looking at photos of Martens I'm not sure. It looked more like a Fisher. But they're quite rare, so I'm not convinced of that either. Perhaps it was a stuffed toy they put out, photographed, and now have us chasing around trying to ID it! Did the last CBC Radio interview this morning for Canada Reads, though just heard CBC Arts would like to do an interview regarding the Quick REads book for literacy I'll be writing. And have an interview tomorrow at noon with the Halifax newspaper. Speak tomorrow - hope you're well. Nicer day than it seems - spent much of it on the porch, editing. Then exercised. My goal, imperfectly achieved, is to be like the ancient Greeks who felt it was important to have three elements in their lives - body, mind and spirit. The mind and spirit are, for the most part, achieved most days - but the body might not be anything the ancient Greeks would recognize. So, it feels great when I also exercise. I actually do feel more in balance with myself. Spent the last few minutes trying or organize, or re-organize, things with JetBlue. I'm heading to Phoenix for an event at Poisoned Pen on November 5th, then a couple of library events on the 6th, and flying out Saturday, Nov. 7th. Except now they say that flight is cancelled. So I've had to re-book for Friday, which means missing the library events. Frustrating! The absolutely wonderful Carolyn Hart has made space for me at her Poisoned Pen events...how generous is that! I'm a huge fan of her too, so it's doubly exciting for me...plus I adore Barbara Peters, who runs and owns Poisoned Pen bookstore and publishers. Anyway, this can't be helped. Just a bit disappointing. Have also tried to book a hair appointment with Olivier in Montreal for this coming Monday, before flying to NYC Tuesday - but Olivier doesn't work Mondays!! Now there's an emergency. Oh well - I suspect New York has seen worse hair. Actually, it isn't bad, but I always feel more confident with a 'touch-up'. But rather have no hair cut than one with someone I don't know. Michael and I are off for dinner to the guest cottage with Bal, Linda and Bethany. They're leaving tomorrow, so it's an 'au revoir' dinner. But we'll see them again soon, I know. Have a phone interview tomorrow morning with CBC Radio - my last weekly one for their Canada REads series, since August is almost over. Can you believe it. Also want to write the September newsletter tomorow. Thank you for everyone who wrote in with kind words for Michael in yesterday's blog. he LOVED reading and responding to them. Just finished exercising and swimming, lounging and editing. Fun day. Very quiet. Living off the left-overs from the party the other night. Yum. Michael Whitehead, former Director of Hematology at the Montreal Children’s Hospital for 25 years decided three years ago to write a book that would both tell a truth and shed light on a controversial type of cancer screening for neuroblastoma– “a childhood cancer that kills too many children, ”according to Whitehead. “The idea came to me three years ago unexpectedly, prompted by hearing the name of a colleague and remembering this remarkable scientific study we were both involved in,” said Whitehead. 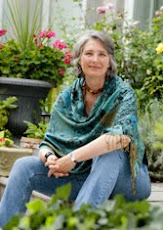 Having written countless research grants, scientific articles, chapters for medical texts and journal reviews, Whitehead knew he was ready to go the distance with the encouragement of his wife, New York Times best-selling mystery writer, Louise Penny. “Louise encouraged me every step of the way. Without her support, I would never have begun this journey, let alone have traveled as far as I have,” said Whitehead. Whitehead’s Book The Halo Effect and Screening for Cancer is about screening for neuroblastoma. “Neuroblastoma cells make chemicals that can be measured in the urine. Screening was pioneered in Japan and became a universal program with every Japanese child being screened for neuroblastoma. Initial results were so exciting, and seemed to say this terrible cancer could be cured, that everyone wanted to screen for it,” stated Whitehead. A scientific study mounted to verify the Japanese findings was carried out in Quebec, the only site in North America capable of doing it. “Half a million Quebec babies were screened over five years and findings compared to unscreened babies in control regions totalling 4.5 million babies. The results proved a complete shock,”Whitehead said. “Screening failed to save a single child. Even more shocking was that none of the children found by screening needed to be treated. Their cancers would have disappeared all on their own. All these children, twice as many as were found in the control populations, were overtreated, exposed to the risks and complications of surgery and chemotherapy. Because of the scientific rigour of this study, neuroblastoma screening ended everywhere. This story has many parallels to cancer screening programs in adults.” said Whitehead. “Screening for cancer in adults, particularly mammography screening for breast cancer and PSA (prostate-specific antigen) screening for prostate cancer, Whitehead explained, share many of the key problems experienced with neuroblastoma screening. Mildest is the occurrence of false positive results, which require repeat testing to resolve, resulting in anxiety and more testing. Even a biopsy may be needed. “More serious is overdiagnosis. Cancers found through screening are so slow-growing that they will never cause symptoms. Such cancers are regularly found at autopsy in people who die of some unrelated condition such as a car accident, or heart attack). But no one knows which cancer is which, so both the benign and fatal cancers found by screening are treated the same way - surgery and sometimes radiotherapy. “We don’t know how many people actually benefit from screening and how many are overtreated unnecessarily and exposed to side effects and risks. That’s mainly what I was referring to. Writing The Halo Effect has changed Whitehead in some respects “I have felt stretched by the process, stimulated,” he said. “I’ve a lot more respect for and understanding of writers. I would like to say it has made me a better person, but that’s something only others could see, certainly not myself. Isn't that amazing??? Alanna really is terrific - and so is Michael. I'm SO proud of him. I've read what he's done so far and it reads like a thriller. Absolutely riveting. And what a lovely man, too. I hope you'll get a chance to read it one day soon. You've all been so supportive of him in this process. We'll let you know how it goes. In the meantime, hope you're enjoying your weekend - be well! And wow, was yesterday ever stinky hot too! Drove out from Montreal after the dentist appointment. There'd been so much construction, and so many back-ups on the highway we decided to try to back roads...wonderful trip. Very pretty and very relaxing. Cheryl gave us the directions and we only over shot a turn once - our fault. Got home in time for a swim and to have the food delivered...a woman named Mary Aitken catered it. Dear God, it was fab. We'd already decided on a cold buffet - and Mary made grilled vegetables with a mango dipping sauce, assorted sandwiches including one made of ham and banana mustard - I'm not kidding. There were lobster rolls and roastbeef and stilton, there were endives stuffed with chevre, beets and mango. And lots more besides...WAY too much food - but everyone got a care package to take home. And we had guess what for lunch?? Pat made a stunning fruit salad for desert. and we got some handmade chocolates from the village. I continue to make small changes - my final polish before sending the book off. With THE BRUTAL TELLING, Louise Penny has written another novel that appears to follow a familiar theme. A murder has occurred in Three Pines. Inspector Armand Gamache and his team from the Sûreté du Québec arrive, take over the local fire station, and solve the crime. But things are not that simple. Three Pines becomes the place where we all live … not the community where we interact with strangers, friends, and family … not the place where we eat, sleep, bathe, and make love … but that place within ourselves, where we live with our convictions and our doubts, with our fears and our hopes, with our capacity for charity and our capacity for greed, with our ability to help and to hurt. And the characters in the book are not the group of villagers we have come know. They are each and every one of us. But we are not portrayed via the persona that we present to others, and to ourselves when we look in a mirror. Our personas are stripped away, down to the essence of our being. Our souls. We are shown things about ourselves that we do not acknowledge because we do not know that they exist, or refuse to acknowledge that they do. 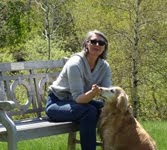 Louise Penny has written an allegory, an extended metaphor, one filled with truths as basic as the Ten Commandments, and one filled with how far afield man’s inhumanity can spread fear, distrust, and harm. And while doing so, she has written another book filled with her unique style of humor and wit that will provide enjoyment to those who wish to read lightly and not think too deeply. My italics and bold buttons don't seem to be working anymore, but you get the idea. Wonderful review. So moving when people read both books - the fun, easy read - and the one that lies beneath. Hope you're having a good day. Off to exercise then swim. Not to shabby! We're in Montreal now - arrived yesterday. Had such fun Tuesday at Joan's - having tea then going into her centre to meditate for 20 minutes. Michael and I had taken a few courses through the Bishop's University adult learning programme in Knowlton a few years ago. And loved it. I'd forgotten how peaceful it is. And I realized how filled with sensations my life is...music, voices, newspapers, books, television, movies. How calming when it's all still. The 20 minutes flew by. I was surprised when Joan hit her little gong. Of course, I might have been asleep for part of it, but I don't think so. Well, never admit it. On our way there, in two cars, we hit a HUGE storm. Could barely see through the windshield washers. 14 year old Bethany and I were in the car behind Bal, Linda and Michael. I was watching them, hoping a tree didn't land on them, then realized I should also be worried about us. And what about a lightning strike? And I realized young Bethany would, understandably, be thinking this elderly 50 year old woman would protect her. I tried to remember what we should do it a hydro line fell on us. Happily, none of that happened. It was teeming down still when we arrived and we all dashed into Joans home, soaked to the bone in the 10 seconds we were outside, but all laughing and enjoying ourselves. We got in to Montreal yesterday around noon and had the wallpaper man, Tapestrie Maurice and his daughter Julie coming at 2pm. What a fabulous job they did!! What a relief. It was quite difficult to find someone to do wallpaper, but we finally did. And it looks amazing. Had pizza on the bed and watched a video...Knowing. Fun. Today it's raining, but fresher. Quiet day at home, more smoothing and polishing of book 6. Making some arrangements for the fall tour - fine-tuning some events. The day just slips by. We do love this apartment! Small and perfectly formed. Sushi tonight - and watermelon. Yum. What a wonderful August we've had. Denitst tomorrow morning here in Montreal then back home. Having a small dinner party tomorrow night...the Mounts, Cotton, Kirk and Walter. Having it catered, of course. All we have to do is show up! How perfect is that? Take care - will try to blog tomorrow! Hope you're well. Ohmmm. Sushi. Ohmmmm. And humid too - just dripping with perspiration. But a glorious day. A little difficult sleeping but we kick off the covers and turn on the overhead fan. At some stage in the night one of us gets up and puts the covers back on. Normally Michael, bless him. The package finally arrived at 3pm today via UPS from the New York publisher. Spent a few hours working on it. It actually turned out to be relaxing...almost meditative. Speaking of which, Joan's invited Michael, Bal, Linda, Bethany and me over to her place for tea tomorrow afternoon - and then to do a 'sit'...a meditation. Bal regularly meditates, and Joan does, since she runs the local meditation centre. Michael and I have a sort of quiet prayer and silent time every morning before breakfast - but that lasts about 3 minutes. Joan might be hearing a lot of snoring. Our mantra. Watched The Player last night - film from the mid-90's. Loved it when I first watched it, but hated it last night. Turned it off. It just seems so stylized and self-important...self-aware. Too cool for school. Michael sent his proposal to his New York agent today, only to realize they're closed until September 3rd! Bit of a letdown. Poor guy's been working on it day and night. Still, it means he can at least relax and not check his email every five minutes - though I suspect he still will. Neurotic writers! So glad he's come over to the dark side! Well, off to sit quietly and sweat some more. Enjoy yourselves. Anotehr perfect summer day. spent much of the morning in or by the pool! Reading, relaxing. Did some ellipticating...then dove in the water. Fabulous. I feel buoyant, in and out of the water...freed of anxiety. This is the first day in a very long time I haven't had work to do...haven't had social engagements. Nothing. Peace and quiet. And I'm taking FULL advantage. Basically, doing nothing. Plan to watch the golf soon. Had fun yesterday afternoon at the SPCA fundraiser. Offered our property for it next year. Not sure they'll take us up on it. They might prefer a place in a different location since we're just down the road from Kirk and Walter. But if not next year, perhaps the next. Whatever works for them! Met a wonderful woman named Mary who was doing some of the catering for the garden party. She's just moved to these parts. Since Michael and I are having a small dinner party this coming Friday I invited her to cater it. I'm very happy about that - as will our guests be. They needn't eat before they come. Had a fun experience last night too. Was lying in bed with the latest People Magazine - opened it to the books section first, as I always do...and there was a fabulous mention of the Audio Book for A RULE AGAINST MURDER (aka - THE MURDER STONE). It was in a section they called Thrilling Mysteries for the Road. I was sure thrilled! But, more was to come. Had an email from my New York editor, Hope Dellon - late Saturday night, to say she'd just found out THE BRUTAL TELLING would be getting a starred review in Publisher's Weekly!! She even sent the review. When the body of an unknown old man turns up in a bistro in Agatha-winner Penny’s excellent fifth mystery set in the Quebec village of Three Pines (after Jan. 2009’s A Rule Against Murder), Chief Insp. Armand Gamache investigates. At a cabin in the woods apparently belonging to the dead man, Gamache and his team are shocked to discover the remote building is full of priceless antiquities, from first edition books to European treasures thought to have disappeared during WWII. When suspicion falls on one of Three Pines’ most prominent citizens, it’s up to Gamache to sift through the lies and uncover the truth. Though Gamache is undeniably the focus, Penny continues to develop her growing cast of supporting characters, including newcomers Marc and Dominique Gilbert, who are converting an old house-the site of two murders—into a spa. Readers keen for another glimpse into the life of Three Pines will be well rewarded. Alright, I'm off - have to hurry up and do more nothing! Hope you're also having a quiet Sunday. Beautiful summer day. Classic Quebec July day - in mid-august! Had a quiet day yesterday - spent most of it waiting for a delivery from the publisher's in New York that I needed to work on - but UPS messed up and it didn't come. We're thinking we should switch to FedEx since we do so much courier-ing and we need a service that's reliable. The thing will now come Monday, which means I need to work on it all monday afternoon, evening and Tuesday morning - in order to get it back to NYC in time. but, such is work. And the frustrations of living in the country. I suspect in the city these logistical issues don't apply. Still, doesn't seem enough of a reason to move back to a city! Bal and Linda came over for a swim yesterday afternoon. Had breakfast today with Cheryl in sutton. Love our breakfasts. It's wonderful to have a friend who is going through the same sort of life issues...menopause, feeling emotional - trying to decide how much is hormones and how much is 'real'...would I have reacted the same way three years ago - or three years from now? Trying to sort through things. And to talk about issues of faith and God and prayer and anger, and joy and gratitude. And husbands! Phew. I feel so much more human after I've been with a good friend. And had a good breakfast! Michael and Bal also had breakfast, a couple of tables over. then the firefighter's parade through town was about to start...so we skiddadled out of there before we were stuck for 2 hours. Fun to see all the floats, and costumes, and vintage cars. We love parades in Sutton...and we love our volunteer firefighters. Off to Kirk and Walter's garden party this afternoon - the annual fundraiser for the SPCA Monteregie. We're bringing sandwiches - and a set of hardcover books for the auction. Then off to our regular Saturday night meeting. Tomorrow we have a vernissage in North Hatley, but we might not make it. Michael needs to edit his book proposal and I need not to do anything, except watch Tiger Woods et al in the PGA tournament. And swim! Gotta run. Linda and I need to run into the village for groceries. Lovely to have the sun shine on us again! Hope you're well. Hope those California wildfires get under control soon...I was remmembering those terrible ones you had in Australia this past February. Another stinker - but fun. The only time this kind of weather becomes uncomfortable is at night - hard to sleep. But we put the fan on and that's much better. Had a wonderful lunch at Cotton's yesterday...an assortment of salads, including egg salad, which I love. Another summer taste! That and devilled eggs - love those too. Very 60's and 70's. Pink lemonade and devilled eggs. Cotton had fruit salad and brownies for dessert. We all fell on those too! Had to call Tony yesterday to come and relocate a spider from our shed. I went in to sift through our recylcing (I'd thrown something out we actually needed) when I noticed this massive spider in a web at the window. Now, I used to be terrified of spiders as a child, but not anymore. If I find a spider in our home I just let it be. I think there'd come a time when if they overran the place we'd do something, but the odd one isn't a problem. But this one was gigantic! Really more like a crab in a web. Terrifying. My first instinct, of course, was it needed to die. Then I realized it actually just needed to move. Far away. Before it gave birth too. So out went the call to Tony. We should get a special search light - ala Batman - for the skies, when we need our hero, Tony. Up he came, with Pat. While Pat and I cowered in the house, Tony went into the shed, found the creature, got it into a box and took it into the woods. Even Tony was impressed by the size of it. We generally encourage Tony to put things into the neighbors property - like when we used to toss the dog poop next door (into their woods, but it was still their property) until there was quite a nice wall of merde between us and the next-door-neighbors. Then we bought the property...and got our own poop back. Seems our karma has a very small circle. So now we tell Tony to just put whatever disgusting thing we have onto our own property, just far from the home. Went to Cowansville for breakfast...doing the live on-line chat this afternoon at 2pm - then heading next door to Bal and Linda's...for cocktails, but also to hear their daughter Bethany read her story. She's 14 and a fabulous writer. Very exciting. Well, she's now written a sort of fantasy/mystery and finished last night. So we're invited over for the world premier! She adores reading and writing...how wonderful is that?? Talk to you tomorrow - hope you're enjoying your day. Fall Schedule and Great News! We just heard that THE BRUTAL TELLING has been chosen as a GREAT READ on the October 09 Indie Next List. This is put together by the American Booksellers Association (ABA) in the US, so to be chosen is huge. I cannot tell you how thrilled I am! Off for lunch with Cotton in Knowlton at 12:30. Before that have a test run for the CBC Book Club live on-line chat (which will be tomorrow between 2 and 3pm) And at noon have an interview with Jacquie Czernin - of CBC Radio in Quebec City. But nothing tonight! And tomorrow morning is free. Have just sent an update for the Events page of the website - the publicity events for THE BRUTAL TELLING so far. I know more will be added as it gets closer. Here's the schedule so far - You can see why I'm anxious to get Book 6 done before I need to start promoting book 5! Still, this will be great fun! Sept 8th – Taking part in a news conference for launch of the Quick Reads Literacy programme in Canada. I’m writing a Gamache novella for it. Oct 4th – Canadian Launch of THE BRUTAL TELLING – with a celebratory brunch, and fundraiser for the Yamaska Literacy Council. The brunch will be held in Knowlton, Quebec and for tickets please call Brome Lake Books at: 450-242-2242 Love to see you there. So, everything is coming together. I basically set aside September to Christmas to promote the book - and wonderful that this is the first time a book of mine is coming out simultareously in Canada and the US! Makes life much easier. Busy, but ultimately better. Sultry day - loads of rain...then the sun came out and the humidity shot up even higher - then there was a massive storm felt like it was right over the house. Even Trudy (who normally only reacts to cookies) jumped out of her skin. Had a wonderful morning, sitting on the screen porch watching the rain come down in sheets...and the mountain in the distance disappear in mist...and edited book 6 from the hardcopy. I realized I adore the extremes...sitting in the living room during a blizzard, hearing it lash the house, and being safe and warm with Michael, Trudy, and a hot chocolate in front of the fire. Or, in the summer, being on the porch during a summer rain. Peace. Safety. Those are things I yearn for, and have found. Sometimes! Went off next door to the wonderful Bal and Linda's - and of course their daughter Bethany and their three dogs - for a mid-afternoon visit. They had nine friends visiting from all over - all doctors and their spouces. Bal is also a doctor - he created Palliative care in Canada. It was such fun for Michael and me to be included in their gathering...and it was clear how much these people (who were all at Queens Medical School together 50 years ago) love each other. And how comfortable they are with each other. A real gift to be allowed to visit that devotion, and even feel a part of it. One of the great and very real blessings of my writing career has been re-connecting with people I'd cared about and failed to keep in touch with. How splendid to find them later in life and love them still. People like Wendy and Pat, like Janet and Marcie. Have an interview tomorrow with Hannah Sung, of the CBC bookclub... if you haven't checked it out you might want to...just go the the CBC website and look up the bookclub or Canada Reads. The Murder Stone was chosen their book for the entire month of August. Am also doing an online chat - live of course - this Thursday between 2 and 3 Eastern Time. Am off now to write something else in preparation for the launch of The Brutal Telling. So looking forward to that! Slightly below seasonable. had breakfast with Joan today in the village. Long chats about life. Took her a container of sugar snap peas from our garden. They're fabulous. Then home to cut some flowers in the garden and take a vase to Bal and Linda at the guest cottage. Stopped and had a lemonade with them - such interesting people. Fascinating. Then home to sit on the screen porch with book 6 and a red pen. Then Cheryl called and we chatted for half an hour or so. Have set up breakfast next Saturday with her. Such a tonic - to re-connect with friends. To open the door and walk back into the community. Phew. Lovely day - I'm so happy for all the people who had events, like weddings, planned for today here. Every weekend in July - the big wedding, and therefore big anniversary month in Quebec - it rained...torrents. So it is great to see some brides won't need those rubber boots. Back in Sutton now. Did an interview with the local paper yesterday. That's always kind of them, I think - since I'm always afraid people are sick to death of me here. But apparently not yet. Had breakfast on Greene Ave in Montreal, at Nicks...a diner kind of place...real local hang-out. Michael had the blueberry waffles and I had porridge. I always have their porridge. I love it. With raisins and hot milk and brown sugar. Yum. traffic was horrible on the highway...mid-day Saturday. But because it was such a nice day everyone was heading to the country. Arrived here in time to make some phone calls and get some stuff sorted out...and have a nice long bath. then off to our regular Saturday night meeting...and now home. Having breakfast tomorrow in Sutton with Joan. Michael often comes, but sits at anotehr table and reads...while Joan and I yak away. She runs the local yoga and meditation centre...fascinating and very funny woman. I adore her. It feels like I'm becoming human again - or at least becoming a decent friend again. My friends are so patient and loving...and allow me months and months of hermit-like existance, while I write. Then, often, when I'm not writing I'm traveling to promote a book...but still they call and write...and understand when I can't meet them for meals. Lunch later in the week with Cotton, Bal, Linda, Bethany, and of course, Michael. Looking forward to that too. Still polishing the manuscript but don't feel at all driven now. The big work is done. It is what it is, this is simply fine-tuning. Can still be overwhelmed by fear, of course, but not by work. Funny day - cool, windy, some sprinkles, but then the sun comes out and it's quite nice. Went to Nick's for breakfast - after spending yesterday fine tuning book 6. Then returned some DVD's while michael went back to the apartment. On my way back I stopped at Alexis Nihon, a series of shops, to see if I could find some tops. I did. But I'd forgotten, since I don't like shopping, how exhausting it is. I now know why those models are so slim. They don't starve themselves - it's all that struggle to get into and out of clothes in a confined space. It's like a session of power yoga. Way better exercise than that elliptical machine - but, if I could just combine the two! Put an elliptical machine in a tiny changing room and toss some clothing in - half a size too small. It's getting them off that's the real struggle. Half an hour in there and we'd all come out buff. Mad as hell, but lean. I'll make a billion! Get an infomercial going. Hire Joan Rivers. Actually, Paula Abdul is available. My God, it's all coming together so well. OK - back to work. And back to Sutton tomorrow. Bal, Linda and Bethany are arriving tomorrow to spend a couple of weeks at the cottage. Such fun. As we've come to expect, we have a sunny, hot day, then a cool, rainy one. Balance. Why not? Still in Montreal - polishing and smoothing book 6...loving the process. Michael's joined me...in the evenings we order pizza and watch a DVD...go out for breakfast - then back to the apartment so he can work on his book and I can work on mine. Still, this feels like a vacation to me. Such fun. I was saying to him that I'd rather be in Montreal than any place on earth! From our apartment we can walk everywhere (almost)...so great to be able to get all our provisions within a few blocks, put them into our canvas bags and get home. We're off for lunch now. Japanese. Can't get that in Sutton so it's a real treat. Michael's put the books (or most anyway) in the new bookcases. The place is really coming together. Will relax this afternoon - perhaps watch Entourage on DVD. Life continues to delight. One day it won't - so I'd better appreciate the good times while I have them. Take care - speak tomorrow. Am in Montreal now...arrived yesterday morning, leaving Michael in Sutton with his son...give the guys some private time. And I had a dentist appointment. And a few things to do here. Did an interview this morning with Hannah Sung at CBC for the book club...some questions their readers had. Then hopped in the car to zoom to Ikea for bookcases. Now that we're set-up in the new apartment we realize we need more bookcases. No real surprise there. I got there about 10:30 and the lot was already 2/3rds full. I whizzed around, since we don't need anything else - though I was really temped to buy a few sofas, some lamps and a new kitchen. But resisted. Got two book cases - then found them in the self-serve. Self-serve?? What do they think we are? As you might have gathered I'm not exactly petite, but even I could barely wrestle with the boxes from the shelves. I finally had to ask a young worker to help. He did but didn't seem happy - never cracked a smile, or said a word. But even he grunted a little dragging a box from the second shelf. Managed to get the boxes from the trolley into the car, then from the car to the apartment. But nthe real delight was still to come. Putting the ducking things together. I'm going to hell for sure. And I think my right thumb has a permanent ridge where that 'key' fits. Had to made two bookcases. Michael said I should wait until he arrives tomorrow, but the truth is, we don't work so well together. One of us gets bossy. To be fair, we take turns micro-managing each other...and since neither of us reacts well to that you'd think we'd stop doing it to each other. But we don't. But now, they're both done and look great. Now we can finally unpack the last of the boxes. That I will save for Michael. Rented and watched two DVD's from the first season of 30Rock. I almost never catch it on TV, but when I do I love it. Thought this was a great chance to start getting caught up. It's hilarious. Spoke to Michael. He and his son did a Cowie for breakfast, and are now lounging by the pool, reading. Off to the theatre tonight. Sounds like they're having a blast. Time for me to take a soft drink, some fruit and the manuscript for book 6 onto the balcony and do some more fine tuning. Love this stage of the process. Am overwhelmed with responses to my newsletter give-away - two advance copies of THE BRUTAL TELLING. I always try to respond to each one, but there are hundreds. But I figure if I just do 25 a day I'll eventually get through. And I really appreciate the notes from people, and that the reason I get to do this is because people have discovered the books and support them. The least I can do is write back when they take the time to write. It just takes a little time. Take care and will talk to you tomorrow. After spending yesterday baking by the pool with the family today we lit the fire! Fun either way. Wardrobe getting a work-out. Lovely day yesterday - went to the lit fest with heather O'Neil and Neil Smith in Knowlton. Wonderful. And packed. Then home for a few hours by the pool with family and then off to a meeting. Got home in time for a late dinner with everyone. Today quiet day - only left to go for a cafe au lait with my brother in Sutton. Feels as though the day was spent doing not much of anything - some preparing food, some cleaing up, some chatting, some reading. Perfect. Doug and I are off ar 5 tomorrow morning...in separate cars...me into Montreal and him back to Toronto. We're VERY similar. Both prefer to rise at ungodly hours to beat traffic that get up at a civilized hour and fight traffic. And this is the end of Quebec's construction holiday so the roads might be packed with people returning to the city and returning to work. So this suits out temperments. Have had a wonderful visit. Have done no work! Haven't responded to any (well a couple) of the hundreds of people who wrote in yesterday, after the mailing of the August newsletter. Want to get to some more in the next couple of days to thank people for writing and being so supportive. People are so kind. It means a lot. Dentist appointment in Montreal tomorrow at noon...and need to find a bookcase for the new apartment. I'm hoping to not have to go to Ikea (don't want to assemble the thing) but I feel Sweden calling).